As a fibre artist, I work to develop compositions that convey my love of colour, texture and attention to detail. Part of my process is to examine my materials and explore the possibilities of using stitch to express a particular influence. I tried, in Indian Splendor tapestry, to demonstrate my connection to the colourful fibres and costumes of India. I applied layers of upholstery fabric, sari ribbon, rayon threads, and recycled jewellery beads. 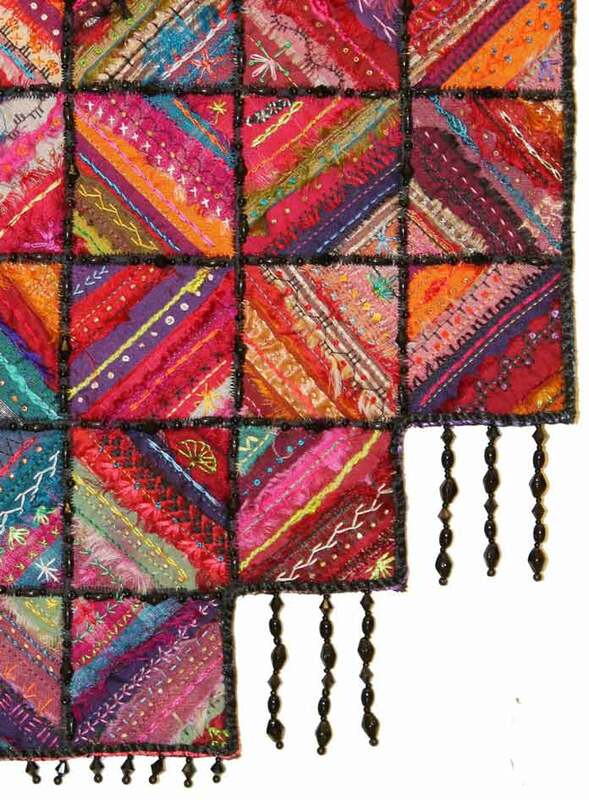 Indian Splendor is rich in hand embroidery stitches, a process that satisfies the ‘creative maker’ in me.